What does Dolby Atmos do? Confused about what Atmos by Dolby does? Dolby Atmos adds overhead sound to the mix. Atmos is an innovative sound format that uses Dolby-enabled upward-firing speakers or in-ceiling speakers to project sound from above your seats. Audio video receivers with Dolby Atmos capabilities can create an immersive listening experience by placing sounds in more precise locations in the room than previous setups. What can I watch with Dolby Atmos? When Dolby Atmos first launched, as with any new format, there simply wasn’t a lot of content around. Since the first film with an Atmos soundtrack was released, Dolby Atmos has supercharged its quality and its content is much more available. So, if you like to rent or buy Blu-ray discs, chances are it will contain an Atmos soundtrack. If you have a 4K Ultra HD Blu-ray player connected to a 4K TV, then all 4K Blu-ray discs will have an Atmos soundtrack. But if you don’t yet have a 4K player, you’ll be happy to know that the Xbox One S was recently updated to support Dolby Atmos. Watching Blu-ray just got easier! 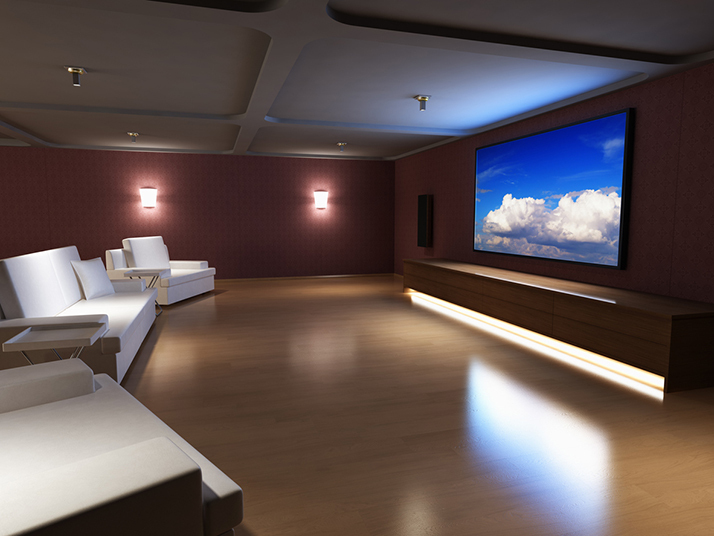 What do you need to upgrade your home theater system for Dolby Atmos? Here’s the good news: If you love your current speakers, you may not need to replace them. Dolby Atmos builds on the foundation of a traditional 5.1, 7.1 or 9.1 system and adds speakers to offer overhead sound. Once you have your speakers set up, you’ll just have to calibrate your home theater system for Dolby Atmos. It’s recommended to use the guide that came with your audio video receiver or preprocessor. This will garner the best results in helping you fine-tune your audio. Happy movie watching!